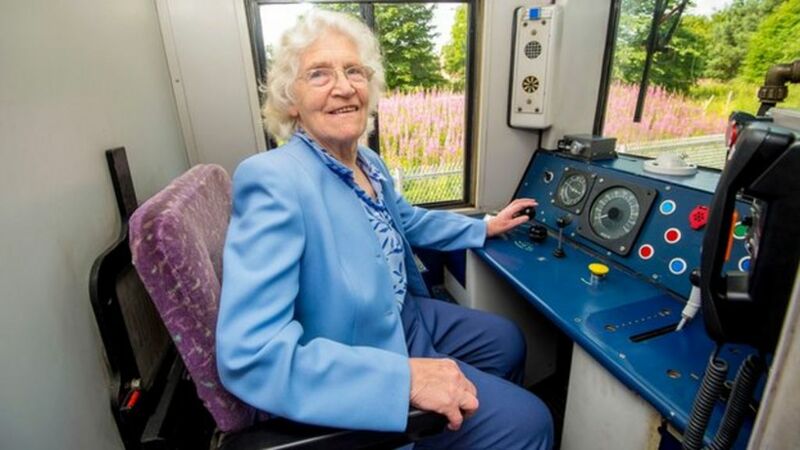 An 87-year-old who campaigned to bring a railway line back to the Borders has become one of the first passengers to travel on the new service. Madge Elliot and family members took a trip on the Borders Railway line, which opens to the public on 6 September. The new railway will restore passenger services from Edinburgh to Tweedbank for the first time since 1969. Mrs Elliot fought to save the Waverley Line between Edinburgh, Hawick and Carlisle before it closed in the 1960s. A woman who campaigned to bring a railway line back to the Borders becomes one of the first passengers to travel on the new service.